Magic Corner Strong is the edgeboard of medium quality, product with a mix of certain papers with characteristics of resistance, solidity and lightness that guarantee performance significantly superior with respect to the market standard. Specified particularly for cold storage and where a guaranteed toughness is required as in medium-range logistics. A film in high-performance PVC, flexible, resistant and breathable, that is well suited to all the types of shrink-wrapping machines presently on the market. A guarantee gained thanks to more than ten years of experience of our company in this product. Materials guaranteed for their technical composition and for the mechanical seal used and also for the machinability. The highest drilling precision both in the “micro” and “macro” versions. These elements are extremely important and fundamental for the preservation and the presentation of the packaged products. Graziani Packaging is located in Bora di Mercato Saraceno in the province of Forli-Cesena in the centre-north of Italy, just off the E-45 dual carriageway which links Rome and Ravenna. There is another production unit in Spain, in Valencia, so that the company can better serve the Mediterranean market. 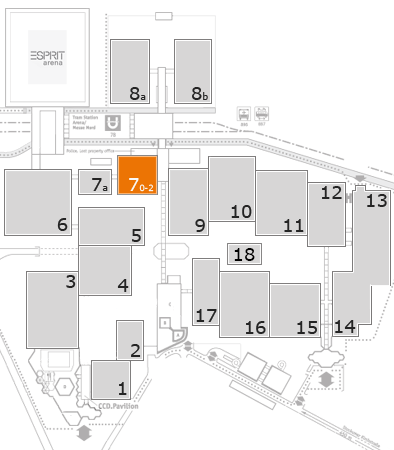 The site in Bora covers a total area of 15,000 m2 with 8,000 m2 indoor. This is the production centre for the cardboard corner pieces, a product which has put Graziani Packaging amongst the top producing companies in Italy and Europe. As well as the cardboard corner pieces we also produce the net Magic-Net®, and the strap Magic-Strap® using our state of the art production system. The Graziani portfolio not only includes the products which represent its core business but also a full range of materials for fresh fruit and vegetable and industrial packaging: products for palletizing systems, special card and cardboard, bags for food preservation, nets for packaging, strapping systems, seals, belts, fruit trays, film for food products. These are the key words in our company mission. Global quality, not simply from a technical standpoint but which is in addition to other fundamental values: production guarantee, flexibility in the service we offer, transparency, assurance of ethical business and social conduct and total corporate responsibility. Quality from every angle. To be a company of excellence, offering exceptional products for exceptional clients. This is our vision. Here at Graziani Packaging the focus of our attention has always been on the person, both with regards to our internal relations with our collaborators and also with regards to our relations with those outside the company. The success of Graziani Packaging is a direct result of our wanting to know and interpret the needs of our clients through direct contact and market surveys, the development of solutions and the sharing of these experiences.